Markus Palttala passes on the news that PSI Experience will be present in Istanbul this weekend with the C6.R Corvette – but the C5-R will stay in Belgium. 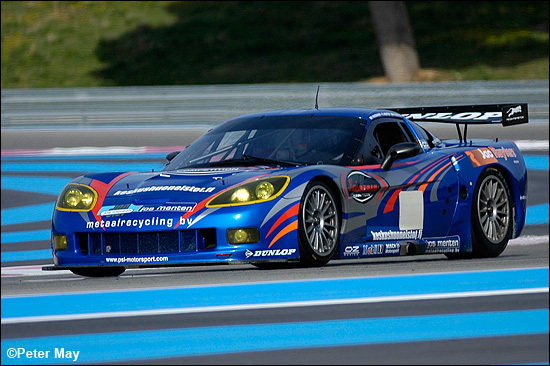 The team has decided to start the season with its C5-R in Nogaro (FFSA GTs) a week later. "Of course, the plan was to do the entire championship with the both Corvettes, but with the tight calendar and travel schedule, we preferred concentrating our means in Istanbul for the C6 and making sure that Philippe (Alliot) and David (Hallyday) ges their car to Nogaro in one piece,” explains the team’s Finnish co-ordinator, and #1 driver. “This offers us the best possible starting point for LMS and the French Championship and more time to arrange the C5 for the rest of the LMS. I'm really looking forward to starting the action in Turkey!" The Finn will be driving with Jos Menten and (fellow Finn) Pertti Kuismanen this weekend – and for the whole of the Le Mans Series. PSI will also be coping with the start of the Belcar season this weekend (preview to come).